A person's very own space is their sanctuary. What differs is what kind of space that is. Do you want a place to retreat away from the daily grind with a good book? The Curve is a stylish contemporary garden building with an architectural twist. The beautiful sweeping curves of the structure and windows provides a light airy feel but retains a depth and warmth for the cooler months. The Man Cave has been designed as the ultimate entertainment garden room. Whether you choose to use it as a games room, bar to entertain friends, home theatre, music room or just somewhere to chill and get away from the daily grind; it lends itself well to any use and is certainly not gender specific! 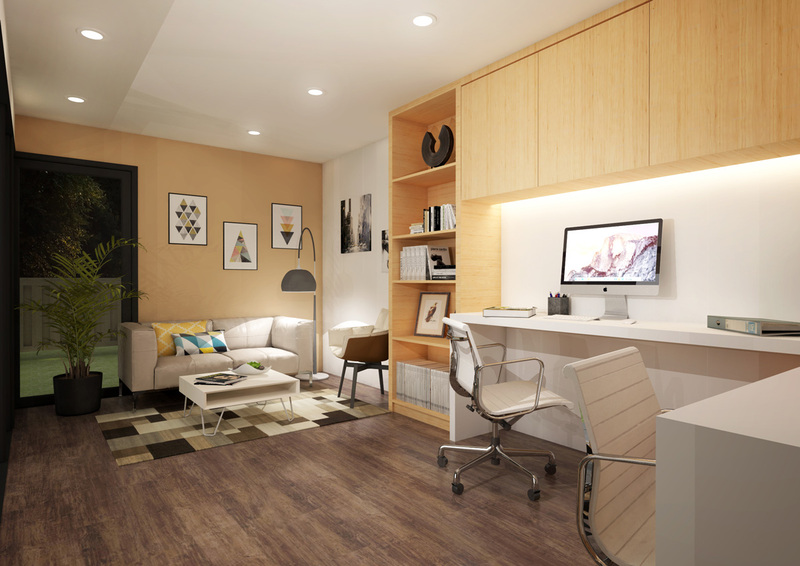 The Studio is designed as a blank canvas for you to unleash your creativity! 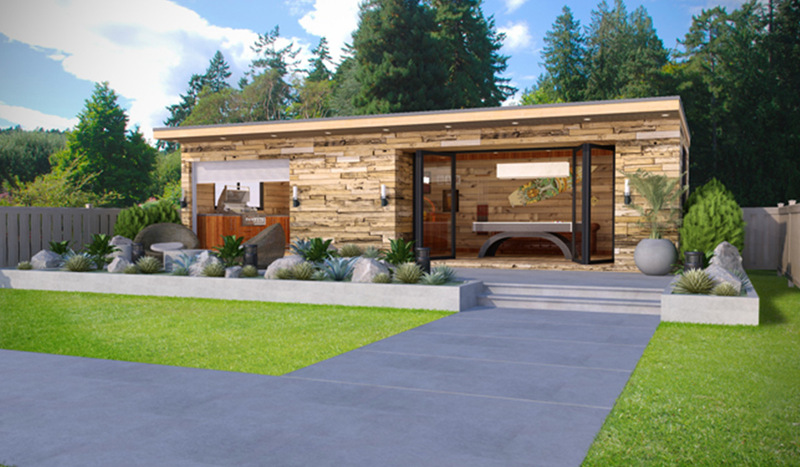 The simplistic design with large bifold doors and windows lets the light flood in. The unique internal roof detail adds further to the open airy feel. The Executive is the real showstopper in our premium range and has been crafted with a business edge in mind for our most demanding customer. 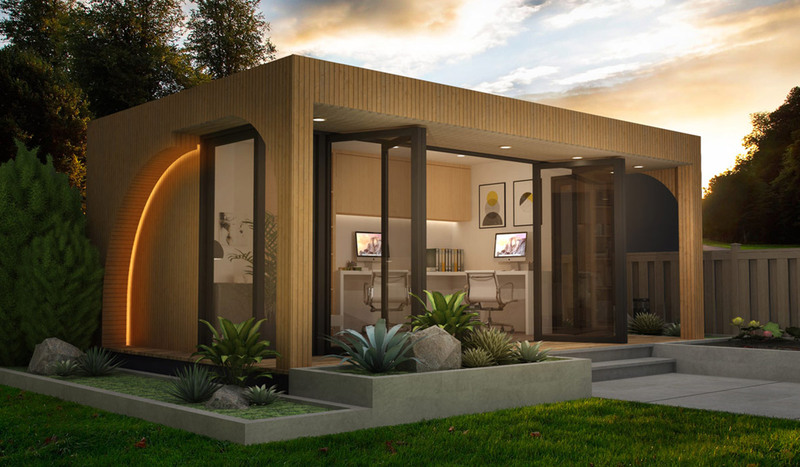 Whilst versatile for its intended use, it is a hugely popular choice as a garden office to work from home and entertain clients. At Unique Garden Sanctuaries we get very excited about a new and challenging project to sink our teeth into. 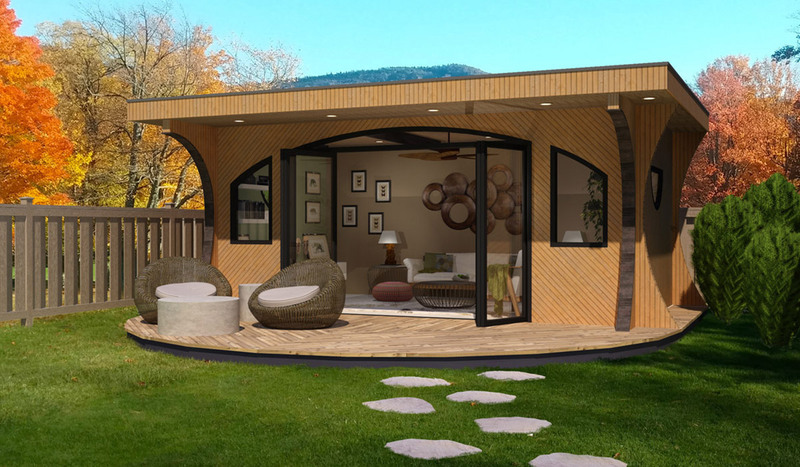 The beauty of using SIPs to construct the shell of your garden room is that the design possibilities are endless. Come and see the the real life designs for yourself. 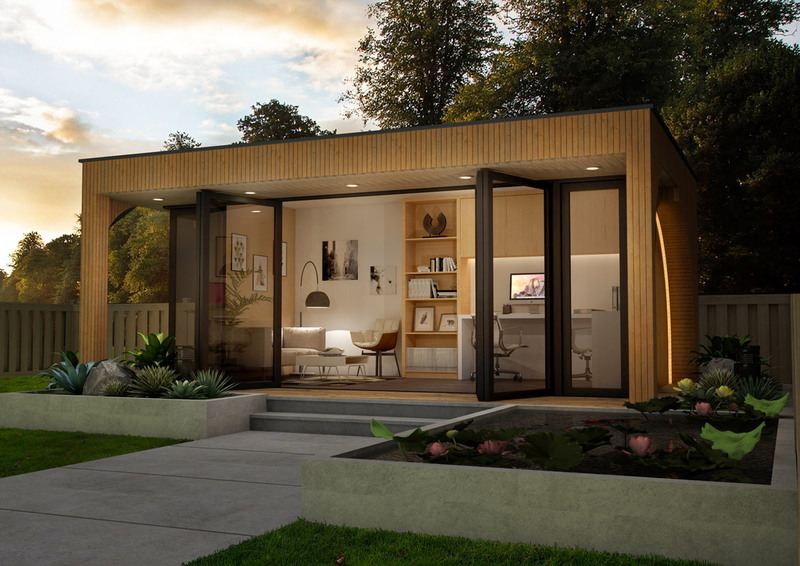 Perhaps you want to unleash your creative side in an arts and craft studio or simply do not have the space for a home office, making a garden office the perfect solution. Entertain friends in your own man cave or prosecco palace? 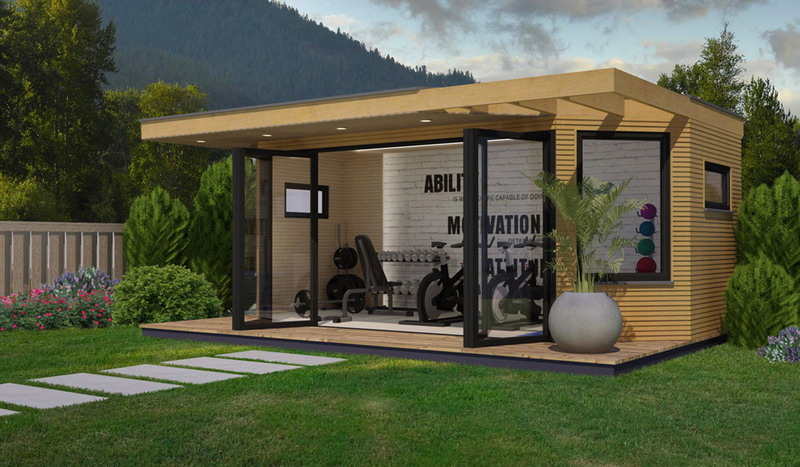 Burn calories in a home gym or restore the peace in your home by providing a soundproofed garden room for older children?Whatever your sanctuary is (and the possibilities are endless) we can provide the ideal garden room to achieve that dream. Take a look at our most recent jobs that we have completed for our happy customers. 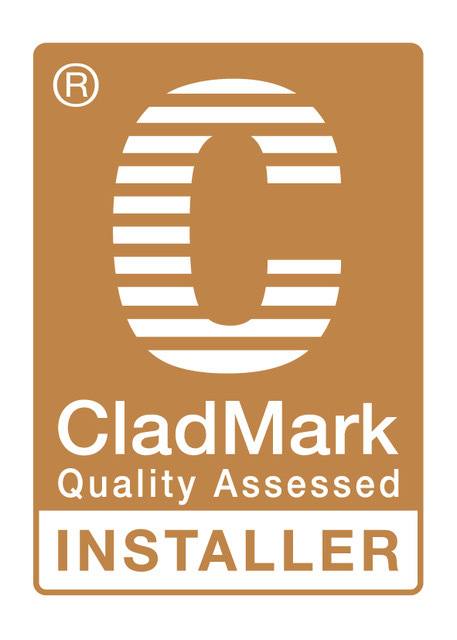 Despite their popularity, traditional conservatories are not typically user friendly. They often overheat in the summer months and too cold to use comfortably in the winter. Commercial enquiries are welcomed and considered on an individual basis. 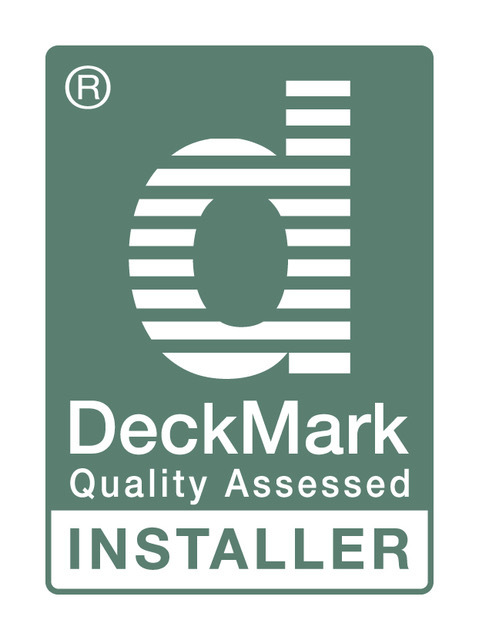 If you are interested in our commercial service for cladding, decking or build please contact us for more information and informal discussion. Whether you are intending to use your garden room as a retreat, office, gym, studio or entertainment space we provide 3D wall art as an opportunity to express your own unique style in the interior and really give the ‘wow’ factor. At Unique Garden Sanctuaries we understand that the design process does not just stop with the garden room itself and such an investment deserves an equally beautiful setting. Knowing whether you need permission to build saves you time and money. In order to deliver you a truly bespoke garden room unique to you the key is a personal service. We appreciate that your contemporary garden room is a significant investment. Take a look at the businesses and organisations that we are members with. 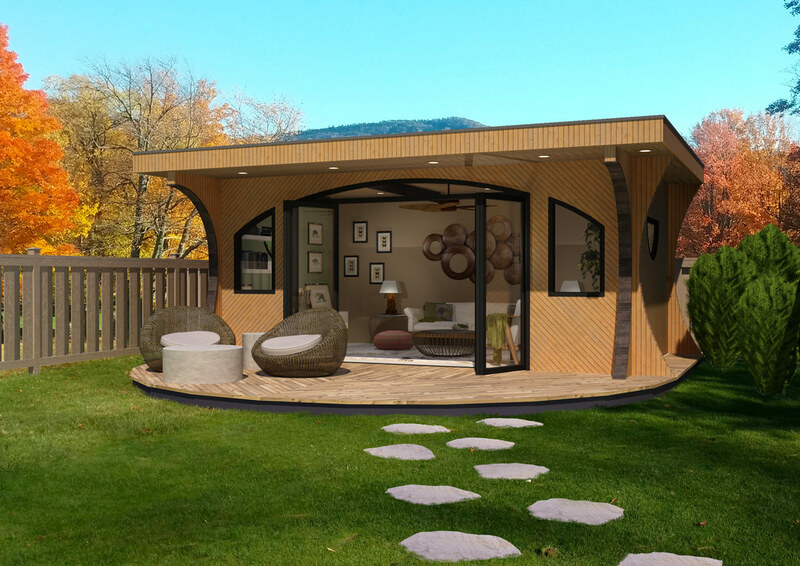 Take a look at our gallery of garden buildings which is full of new and innovative ideas to cater for everyone's tastes. From garden offices to garden studios - the choice is yours. I have a big family and sometimes it is hard to find a quiet area to relax in the house after work. Having my very own man cave at the end of the garden now means I can escape to relax after work and enjoy my hobbies at the weekend. My wife now wants a she-shed so she can do the same! Thank you for helping us get back some sanity and for a great service. The boys building the garden room were tidy and worked hard and you took the time to show us all our options and work out what was right for me. I would definitely recommend your company. 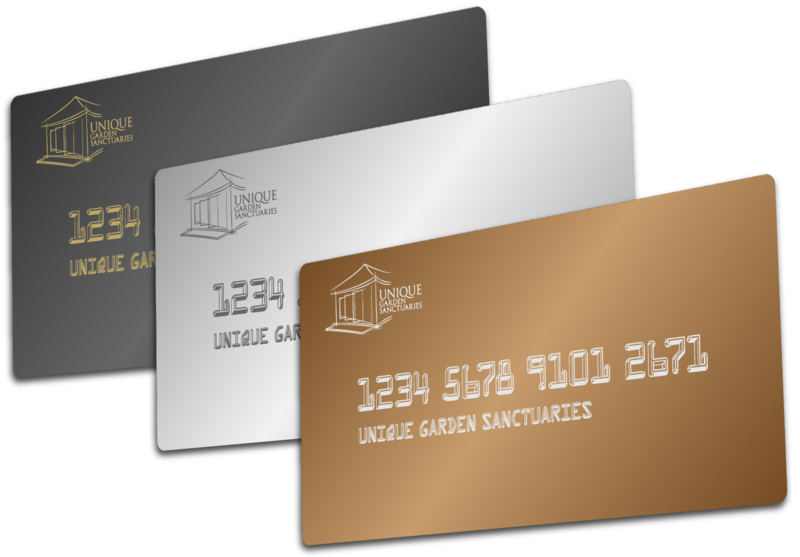 Unique Garden Sanctuaries accepts all major credit and debit cards powered by Worldpay. Worldpay are global leaders in payments processing technology and solutions ensuring safe and swift transactions for our customers.